Unjustly ignored as a result of a thirteenth-century condemnation, the thought of Johannes Scottus Eriugena (ca. 810-877) has only been subject to critical study in the twentieth century. 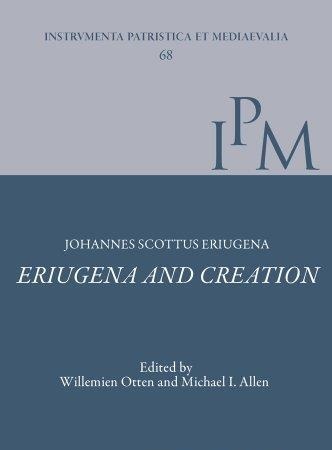 Now, with the completion of the critical edition of Eriugena's masterwork - the Periphyseon - the time has come to explore what is arguably the most intriguing and vital theme in his work: creation and nature. In honor of Edouard Jeauneau - Institute Professor at the Pontifical Institute of Mediaeval Studies, University of Toronto and Honorary Research Director at the C.N.R.S. in Paris - to whom the field of Eriugenian studies is enormously indebted, this volume seeks to undertake a serious examination of the centrality of Eriugena's thought within the Carolingian context, taking into account his Irish heritage, his absorption of Greek thought and his place in Carolingian culture; of Eriugena as a medieval thinker, both his intellectual influences and his impact on later medieval thinkers; and of Eriugena's reception by modern philosophy, from considerations of philosophical idealism to technology.